not happen. These settlements need to be made public! case was allowed to go to court, rather than being settled by Glaxo. $6.3 Million – in my opinion a very small amount for four lives! But it will not be the end of these types of cases being filed. Nightmare & Help! I Can’t Get Off My Antidepresant! the number of suicide, birth-defect and addiction cases settled. 600 claims that Paxil caused birth defects. cases waiting to be tried in Pennsylvania. were filed, according to the people familiar with the matter. pharmaceutical companies generally,” Glaxo said. down 8.8 percent from a year ago. waiting to be tried in Pennsylvania. may reduce the amount paid by the company. $4.85 billion to resolve more than 48,000 claims over the withdrawn painkiller. Conshohocken, Pennsylvania, who is handling suicide and withdrawal cases. drug there were $2.12 billion. Last year, U.S. sales had fallen to $129 million. adolescents. Glaxo denied the allegations, according to court papers. according to the people familiar with the matter. settlements averaged about $4 million, the people familiar with the cases said. birth-defect and addiction cases settled. linking Paxil to addiction problems, the people familiar with the cases said. Angeles federal court, was marked closed in court records in February. drug, Flonase, to a health maintenance organization at discounted prices. drug wholesalers, and $65 million was for indirect buyers, the records show. request by the U.S. Food and Drug Administration to do so. the mix the reactions only began to worsen. anywhere and who knows how long she had been taking them?! officials do not know how Rodriguez got the antidepressant pills. Coroner Jonn M. Hollenbach said. I am writing my story because I want to do something to help inform people about the harmful effects of antidepressant drugs. It took me several years, after using antidepressant medications for more than ten, to become clear headed enough to figure out what happened to me. I wound up having a minor stroke or a seizure according to the MRI. Now I’m trying to get my life back together. I went to a Psychiatrist in 1990 because I couldn’t control crying jags at work. I had been sad over a horrible accident that left my 19-year-old son permanently brain injured. The lady psychiatrist saw me for less than five minutes, announced I was clinically depressed and prescribed Prozac. When I asked, she said it was not habit forming. I remember feeling almost immediate relief after the first dose (surprising, since she said it would take 3 weeks to take effect). All of the sudden life became wonderful! I sang to myself all day long. I was the life of every party (or so I thought). I began drinking too much and running around like I was on speed. I just had so much fun at everything I did. The world was at my feet and I was setting it on fire! Wow…why didn’t I find these drugs sooner? But really, as the years went by, I became unattached to the world emotionally. I became very self-centered. I lost a lot of friends. I missed major life occurrences, like the death of my father. I was not there for him during his illness nor was I emotionally present at his funeral. I was absolutely giddy all of the time. My most radical act was to sue my employer. I know now that it’s better not to sue your local government! As I look back at bad life decisions and embarrassing behavior, I can only be grateful that it was not worse. I read daily of cases describing people committing crimes and displaying truly bizarre behavior on these drugs, some turning into homicidal monsters when they try to withdraw. There are people spending the rest of their lives in prison because of these drugs. I realize I am one of the lucky ones to have come out of the fog and be able to tell my story. I have an insecure (shy), reserved personality by nature, and I come from a conservative family. I know now that the ‘drug fog’ kept me from seeing what was really happening in my life for many years. I know now that I would not have made all those bad decisions had I not been on those drugs. These pharmaceuticals that I so trusted to ‘cure’ my disease of depression have altered my entire life. I realized I wanted off the drugs in the fall of 2001. It was nothing noble on my part that I finally decided to get off (an entirely different and very long story that I am not proud of…we’ll just say I wanted to be clear headed and leave it at that). It took from the fall of 2001 until the fall of 2003. And guess what? By December 2003 I was experiencing severe brain fogginess, mental confusion and panic attacks! I was deathly afraid of what was wrong with me and just as afraid to take any kind of medication to treat the crying jags. At this point, I did not know that I was experiencing was drug withdrawal. I began to seek help. I had an MRI done because of the terrible brain fog. (1) They found ‘non-specific white focal matter’, which the doctor said could have been caused by a minor stroke or seizure. I searched for answers for an entire year from: three PHD therapists, one medical doctor of internal medicine, one general practitioner MD and one gastroenterologist MD. None of these professionals would discuss withdrawal effects of psych drugs! One guy curtly said in a very harsh tone, “if you want to talk about antidepressant drugs, you have to go to a psychiatrist!” Another, the PHD Psychologist lady, was giddy and scatter-brained. She left me sitting in her waiting room a half hour, then sashayed in laughing hilariously, saying she was so sorry she forgot about our appointment…then she proceeded to prop her feet up on her chair with her keyboard in her lap and and pounded in my name address and insurance information, saying “you know this drill, right?” I told her that I did not want to take antipressant drugs. She quickly explained to me that “our brains need help” and gave me some websites that supported her position. I finished the session with her and asked her not to file a claim on my insurance. I gave her a check. And guess what? The next day there was a claim on my insurance website! The woman obviously was in a world of her own. I suppose I should have written her a thank-you note for yet another example of the bizarre behavior caused by drugs that claim to “help” our brains! Well, in fairness to these professionals, I was an emotional wreck, and probably presented a scary dilemma to them. While, all doctors may not know about the devastating physical effects these drugs have on our bodies and brains, most of them have heard about suicidal tendencies associated with them, and the well documented stories of people committing horrendous acts either on or while trying to quit these drugs. I’m sure when I mentioned I had recently quit them, I was quite the pariah. 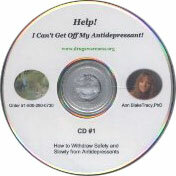 I finally found a psychologist here in Austin, Texas, Dr. John Breeding, that lent me a copy of Ann Blake-Tracy’s tape, ‘Help, I Can’t Get Off My Anti-depressants’. And wow…what a relief! I wasn’t crazy after all. It really was the drugs, as I suspected. 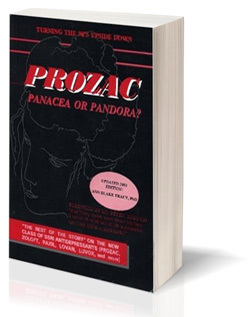 I began reading and researching, and discovered that everything that had been happening to me was directly related to the years of antidepressant drug use. It took a personal crisis for me to wake up. And that’s exactly what happened. The details of the crisis are not important. What’s important is that things had to get pretty bad before I realized that the antidepressant drugs were wrecking my life and absolutely destroying my soul. Author and Psychiatrist Peter Breggin writes about a spellbinding effect these drugs have on people. Believe me, I was spellbound for a long time. I absolutely accepted as truth that these drugs were helping me. Even when I got off of them it took awhile for me to ‘come back’ and fully realize how duped I had been. This year will be the 6th year I am free from those mind captivating drugs, and never have I been tempted to get back on. Each week that goes by I still continue to gain memories and mental clarity. It’s hard to get over the fact that more than 10 years of my life were lost in a fog because of drugs that doctors said would help me. It feels like my life has been turned totally upside down because of these drugs. There must be a reason my mind was spared. I am now supporting an effort to enhance public awareness about the harmful effects of SSRI drugs in any way I can. That is the reason for this open letter. Please people …wake up! How many more lives must be ruined before you will see the truth? I am asking that the medical community embrace the concept of ‘informed consent’. I went to three psychiatrists. None of them were willing to discuss the negative side effects of the SSRI drugs they prescribed for me. I went to professional counselors and psychologists who said ‘our brains need help’ and ‘the drugs help so many people’. Now after extensive reading and researching, I am absolutely disappointed in the prevailing viewpoint by the mental health community that mind-altering drugs are the answer. There is clear scientific evidence that they are not. When I see the giddy, drunken behavior of people on these drugs today, I am simply appalled that they continue to be touted as helpful by professionals who take an oath do ‘do no harm’! I have started a support group for families, friends and bio-psychiatric drug survivors as a means of helping one another to heal. The lack of support from the medical community made me feel alone and isolated much of the time as I was coming off these drugs. By forming a community support group I hope to be able to help people avoid what I went through by sharing some of the information that is not readily available to the general public. I want to do something to spare people the anguish I went through. The information that I know now that I did not know when I went through all this should be readily available. My question to the medical community is why isn’t it? It is my opinion that SSRI drug use today is epidemic, and that our society is being adversely affected because of it. It is my belief that those of us who have been on the drugs and successfully withdrawn have a responsibility to spread the truth that we have so painfully learned. We can change the world. 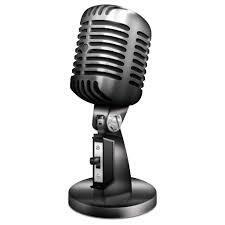 We must share our stories and get the truth out there. If you are in a position to spread the word about how harmful psychiatric drugs are, do so…don’t hesitate. If you touch one life, you have made a difference. (1)	Brain fog means: I could not think straight. I felt confused about day to day activities at work (I am a financial analyst), my short term memory was so bad that I could barely put a sentence together, and I just found myself in a state of mental confusion, not knowing if this was my fault or the rest of the world that was askew. Mental confusion is hard to describe because you don’t really recognize it until you have begun to regain your clarity. You get lost on the way to a location that you’ve travelled many times before. You forget names of people that you’ve known for years… you turn the wrong way down a familiar hallway. million in sales last year, 2.1 percent of Glaxo‘s total revenue. she was pregnant with him. during pregnancy,” the company’s statement said. failed to properly test Paxil. Bloomberg in an interview after the jury reached its decision. several surgeries to fix his heart problems today “has no cardiac symptoms . .
Michael Moore obtained a copy of Ann Blake-Tracy’s book at the premiere of his movie Bowling for Columbine. 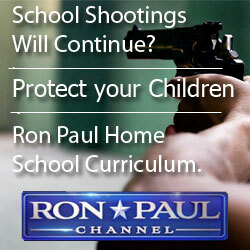 Now listen to his bold statement about what really did cause Columbine. Dylan’s mother there is STILL no mention of any medication use on Dylan’s part. him withdraw from both Zoloft and Paxil. why that report is suspect but will save that for another time). those being diagnosed with RBD a staggering 86% were taking an antidepressant! a couple of hours and took more because he still was not feeling any better. about the horror and suffering her son caused. killing themselves, has described her trauma over her son’s actions. rushed out of the door early on the morning of the killings in April 1999.
heard his voice for the last time,” she said. militiamen that killed 168 people. Dylan was waging in his mind,” she wrote. psychopath who masterminded the plan and Klebold depressive. son, Lyam Kilker, now age 3.
month from October through January in state court in Philadelphia. sales last year, 2.1 percent of the total for the company. information, Kevin Colgan, a Glaxo spokesman, said in an e-mail. the medicine, changing its birth-defect warning. Q:I have been taking Effexor XR for two years. At first I was pleased that it relieved the anxiety, depression and excessive worrying I had been suffering. Then I began experiencing insomnia and night sweats and decided to taper off this antidepressant. After cutting my dose in half, I have had brain zaps (impossible to explain) and pressure in my ears. Answer: Many people find that antidepressants such as Effexor (venlafaxine), Cymbalta (duloxetine), Lexapro (escitalopram), Paxil (paroxetine) and Zoloft (sertraline) are helpful for depression. But there can be a dark side. Stopping this type of drug can lead to withdrawal symptoms such as dizziness, headaches, insomnia, anxiety, sweating, visual disturbances and difficulty concentrating. Many people complain of shocklike sensations in their head (brain “zaps” or “shivers”). An executive of GlaxoSmithKline Plc, the world’s second-biggest drugmaker, talked about burying negative studies linking its antidepressant drug Paxil to birth defects, according to a company memo introduced at a trial. “If neg, results can bury,” Glaxo executive Bonnie Rossello wrote in a 1997 memo on what the company would do if forced to conduct animal studies on the drug. The memo was read during opening statements in the trial of a lawsuit brought by the family of a child born with heart defects. The Philadelphia trial is the first of more than 600 cases alleging that London-based Glaxo knew Paxil caused birth defects and hid those risks to pump up profits. 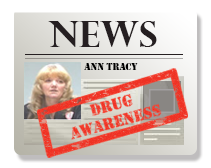 NOTE BY Ann Blake-Tracy (www.drugawareness.org): In my small church congregation in Utah (maybe 100 families) there were two cases of SSRIs birth defects that I was aware of. In one case the mother was on Paxil and the other was a mother on Prozac. Both babies had to have heart surgery at birth or not long after. Because of that the number of 600 cases that have been filed is no surprise to me at all other than the number seems small in comparrison. Sept. 15 (Bloomberg) — An executive of GlaxoSmithKline Plc, the world’s second-biggest drugmaker, talked about burying negative studies linking its antidepressant drug Paxil to birth defects, according to a company memo introduced at a trial. The Philadelphia trial is the first of more than 600 cases alleging that London-based Glaxo knew Paxil caused birth defects and hid those risks to pump up profits. The drug, approved for U.S. use in 1992, generated about $942 million in sales last year, 2.1 percent of Glaxo’s total revenue. The family of Lyam Kilker claims Glaxo withheld information from consumers and regulators about the risk of birth defects and failed to properly test Paxil. 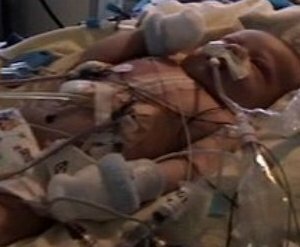 Kilker’s mother, Michelle David, blames Paxil for causing life-threatening heart defects in her 3-year-old son. Glaxo officials urged scientists to withhold information about Paxil’s risks from a paper laying out the company’s “core safety philosophy” for the drug, said Sean Tracey, a lawyer for Kilker and David, in his opening statement in the trial. Glaxo executives contend that the boy’s heart defect wasn’t caused by Paxil, Chilton Varner, one of the company’s lawyers, told jurors today in her opening statement. In court filings, Glaxo has said it appropriately tested and marketed the antidepressant drug. The Paxil label at that time reported about animal studies, “including the rate of deaths,” she said. Glaxo didn’t target pregnant women and its sales force didn’t use strong-arm tactics to push prescriptions, Varner said. “Whatever the marketing was, it played no role in Ms. David’s doctors’ decision to prescribe Paxil or Ms. David’s decision” to take the drug, she said. Glaxo officials purchased the compound sold as Paxil from a Danish company that had done animal studies showing young rats died after taking low doses of the drug, Tracey said in his opening statement. One of the company’s scientists noted in internal documents in 1980 that information in the rat studies suggested Paxil “could be” a cause of birth defects, Tracey said. Still, the drugmaker refused for almost 20 years to do studies on why the young rats died, he added. Tracey told jurors they would see documents in the trial that the company hadn’t turned over to regulators or congressional investigators. “You are going to see docs that have never seen light of day before,” he said. For example, Tracey pointed to a 1998 internal review by Glaxo of all reports of side effects tied to Paxil and officials found “an alarmingly high number” of birth-defect reports. Even with those concerns, the report was never turned over to the U.S. Food and Drug Administration and “the alarming language” was deleted from it, the lawyer said. In 2001, the company received a letter from a woman who used Paxil during her pregnancy and decided to abort her fetus after tests showed it had birth defects, Tracey said. In analyzing the woman’s case, Glaxo officials concluded in an internal report that it was “almost certain” the fetus’s birth defects were caused by his mother’s Paxil use, the family’s lawyer added. Still, the company didn’t turn over its analysis to the FDA or beef up the drug’s warning label, Tracey said. It wasn’t until after the FDA ordered Glaxo and other makers of antidepressants in 2003 to do more safety studies on their products that Glaxo officials publicly acknowledged that Paxil increased the risk of birth defects, Tracey said. The lawyer for David, a college nursing student who was a former cheerleader for the National Basketball Association’s Philadelphia 76ers, told jurors that Glaxo hid Paxil’s problems to protect its profits. Paxil is “the No. 1 asset to this day this company has ever owned,” the attorney said. Varner said she will present “quite different” evidence on animal tests tied to Paxil. “The animal testing did not suggest Paxil caused birth defects,” Varner said. The FDA considered the tests when it approved the drug for use by U.S. consumers in 1992, she said. When Glaxo officials considered offering Paxil for sale in Japan, internal records show executives worried in 1994 they might have to do more safety testing on the antidepressant, said Dr. David Healy, an Irish psychiatrist testifying as an expert for Kilker’s family in the case. It may be the “type of study we wish to avoid,” Jenny Greenhorn, an official in Glaxo’s international regulatory affairs unit, said in a memo. Glaxo also is fighting suits in the U.S., Canada and the U.K. over claims that Paxil, also known by the generic name paroxetine, causes homicidal and suicidal behavior. The company has settled some suicide claims, though terms of the settlements haven’t been released. In 2004, the drugmaker agreed to pay the state of New York $2.5 million to resolve claims that officials suppressed research showing Paxil may increase suicide risk in young people. The settlement also required Glaxo to publicly disclose the studies. The company’s provision for legal and other non-tax disputes as of June 30 was 1.7 billion pounds ($2.8 billion), the company said in a July 22 regulatory filing that didn’t mention the Paxil litigation. “We do not disclose our legal reserves for any specific litigation matter,” Glaxo spokesman Kevin Colgan said earlier this month. Glaxo American depositary receipts, each representing two ordinary shares, fell 68 cents, or 1.7 percent, to $38.76 in New York Stock Exchange composite trading today. Glaxo fell 14 pence, or 1.2 percent, to 1,175.5 pence in London. The case is Kilker v. SmithKline Beecham Corp. dba GlaxoSmithKline, 2007-001813, Court of Common Pleas, Philadelphia County, Pennsylvania. To contact the reporters on this story: Jef Feeley in Philadelphia jfeeley@bloomberg.net; Margaret Cronin Fisk in Southfield, Michigan, at mcfisk@bloomberg.net.